Want to know how to block a number? Below are 15 apps that can do exactly that. Everyone deserves privacy and peace of mind. Far too often, telemarketers and spam callers threaten to deprive us of these basic entitlements with their malicious marketing tactics. A number of third-party app developers have thankfully made it their mission to defend users from harassment with their lightweight call blocking technology. If you have ever been disturbed by unwanted calls during a family dinner, an important meeting, or even the middle of the night then you know exactly how much of an awful nuisance these sorts of callers can be. It has to stop. Many of the apps below gather data on millions of calls made every day with a purpose to detect and automatically filter out robocalls and spam. No one should be subjected to harassing phone calls or texts. If you need to avoid being contacted by a specific number, the personal blacklist feature provided by these apps will empower you to silence or hang up on the abuser for good. The call blocker apps we have reviewed below will serve as your first line of defense against unwanted contact. If you are the victim of unsolicited contact from telemarketers or robocalls, you may be entitled to compensation. In accordance with the Telephone Consumer Protection Act, you could receive up to $1500 per call or text that violates this federal statute. Click here to get a FREE case review. Sitting on its throne as the most popular call blocker app on the market, Truecaller will make sure that you never receive harassing phone calls again. With over 250 million users worldwide, the app’s crowd-sourced database of spam phone numbers helps to identify fraudulent calls without you having to answer the phone. The in-app phone dialer enhances your call-making capabilities by letting you know when your friends are free to talk as well as providing more detailed information about your contacts. Additionally, Truecaller allows you to look up names and other contact information that may be linked to a particular number. Truecaller is available for download on Android and iOS devices. 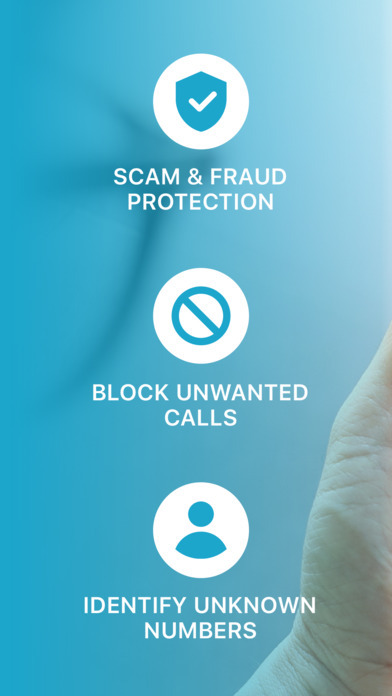 Formerly Whitepages Caller ID, the Hiya Call Block Security app has everything you need to put an end to unwanted calls and texts. 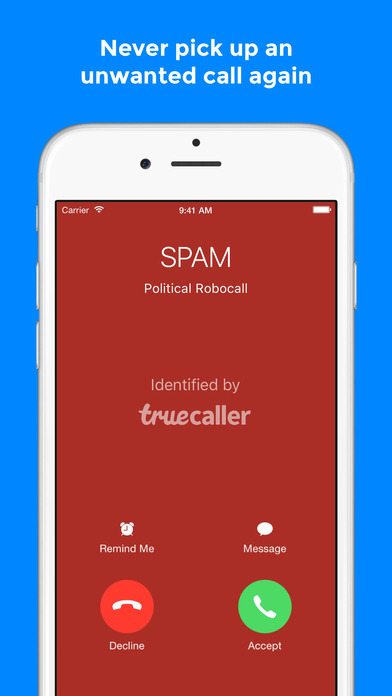 Equipped with its own user-driven database, this app will let you know if an incoming call should be avoided. Hiya provides its users with the most up-to-date information by using a meticulously designed Robocall Radar to analyze more than 3.5 billion incoming calls per month worldwide. There is no doubt that this app will help protect your privacy and put an end to the nuisance. Hiya is available for download on Android and iOS devices. You can stop annoying calls and manage an active blacklist with the Calls Blacklist app. This lightweight app provides you with the basic tools you need to block a number while not consuming any of your phone’s battery power. With options to block private numbers, all incoming SMS, or even all incoming calls, Calls Blacklist makes freedom from irritating distractions a top priority for its users. Calls Blacklist is available for download on Android devices. There is a reason Call Control has over 12 million user worldwide. This app gets the job done with its smart block technology that silences robocalls and telemarketers for good. 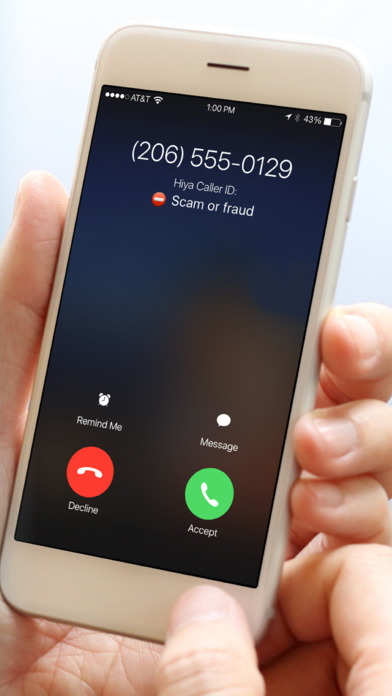 In addition to automatically blocking spam calls, Call Control allows you to avoid receiving calls from any phone number via the personal blacklist feature. Top it all off with an easy-to-use interface, and it becomes clear why downloading this app was an easy decision for so many people. Call Control is available for download on Android devices. With high praise from users and critics alike, Safest Call Blocker will shield you from disturbance and protect your privacy. The lightweight app offers all the essential functions that empower you to block calls and create your own blacklist with its simple user interface. Safest Call Blocker also promises to help you keep a clean phone log by saving all those avoided spam calls in a separate list within the app. We can’t end our review of this great app without mentioning the Wildcard Blacklist: this feature allows you to block a broad range of numbers all at once. For example, if you want to block all 800 numbers, simply enter 1-800-###-#### into the wildcard blacklist and all those annoying sales calls will be blocked forever. Safest Call Blocker is available for download on Android devices. CallApp has taken a unique approach in designing their own call blocker and ID app. In addition to providing all the necessary call blocking features, CallApp aims to enhance the user’s general calling experience. Integration with over 60 information sources updates your contacts with content from social media platforms, allowing you to see the caller’s photo, birthday, number location, and more. Even if these enhancements don’t interest you, this app remains a solid choice for blocking unwanted spam calls. Caller ID & Block by CallApp is available for download on Android devices. The developers at Hiya deliver another fantastic call blocker app in the form of Mr. Number. As PCMag’s Editor’s Choice, this app lives up to the hype with its powerful capacity to stop telemarketers and spammers before they waste your time. You will witness the strength of the Mr. Number community when you browse comments from other users regarding the origin of a particular spam call or text. Equipped with an automatic caller lookup for all numbers in your phone’s log, you will know which numbers to add to the app’s impenetrable blocklist. Mr. Number is available for download on Android and iOS devices. With information on more than 700 million numbers worldwide, Whoscall has the data to back up its call blocking functionality. Pesky telemarketers and robocalls will definitely be in your rearview mirror after downloading this app. Each day, the developers at Gogolook work to identify more than 20 million calls and block another 500,000. Their offline database lets you perform instant phone number searches to discover who called you — no network connection required! Whoscall is available for download on Android and iOS devices. More often than not, the name of this app is the first question that comes to mind when receiving a call from an unknown number. Fortunately, Should I Answer? helps you to know what to do by displaying user ratings when the call comes through. The app is still growing, however, so these crowd-sourced ratings may be lacking at times. With that being said, Should I Answer? has a promising future in the call blocking market. And make no mistake, this app still comes with all the standard equipment that allows you to block numbers of your choosing. Should I Answer? is available for download on Android devices. Sync.ME will be like your phone’s watchdog with its ability to identify and warn you about potential spam callers. Just add those numbers to the app’s blacklist and enjoy a newfound freedom from nuisance. The app also allows you to merge your social accounts with your contacts, improving the quality of information you see when a friend calls you. Sync.ME is available for download on iOS devices. YouMail is like having your own virtual receptionist that provides conference calls, visual voicemail, and (of course) barriers to harassment from robocalls and telemarketers. In truth, the app’s call blocking feature is secondary to its main design, but it would be a mistake to underestimate its ability to protect your privacy. When a spam caller attempts to contact you, YouMail will play a “Number Out of Service” greeting that has the effect of your number being taken off their calling list. An elegant solution for a common problem. YouMail is available for download on Android and iOS devices. It may not have a massive database of numbers like other apps on the list, but Anti Nuisance still gives you what you need to block unwanted calls via a blacklist. The lightweight app places on emphasis on providing users with a clean interface while maintaining a variety of useful features. For example, if you are going to an important meeting or just trying to get some sleep, this app allows you to block calls and texts from everyone during a desired time frame. Anti Nuisance is available for download on Android devices. Go back to basics with Call Blocker Free – Blacklist and get access to a few essential features. Blacklist the unwanted numbers and whitelist the important ones so they can always reach you with this lightweight app. Its list of functionalities may not be as robust as some of the other apps, but the low power and CPU consumption is nothing to overlook in this market. Call Blocker Free – Blacklist is available for download on Android devices. Not to be confused with the previous app, Blacklist Plus is another simple yet powerful call blocker. Use the blacklist and whitelist to manage who is contacting you without clogging up your phone’s history and choose the times you wish to remain off the grid. Blacklist Plus is unique in that it offers four different block modes. You can block all blacklist numbers, all except whitelist numbers, all except contact number, or all numbers. Blacklist Plus is available for download on Android devices. Keep spammers at bay with Master Call Blocker. This lightweight and ad-free app will provide you with the same basic service as so many of the other apps on this list. You can either silence or hang-up the unwanted calls you wish to block with these two block modes. In addition, the enable/disable button makes it easy to decide when you want to actively block calls or conserve battery usage. With no unnecessary permissions, this app promises to do the job without putting your personal information at risk. Master Call Blocker is available for download on Android devices.